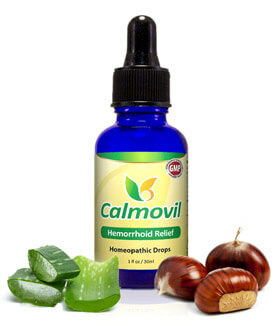 Calmovil Hemorrhoids Relief Kit is made for anyone suffering from piles. 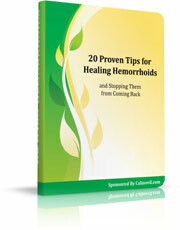 In this eBook, you'll learn 20 helpful tips to get rid of piles. These tips cover exercise, diet, what to do during flare-ups, hygiene, and pain reduction. This no-nonsense eBook comes as a bonus when you order Calmovil today. If you use our products diligently and follow the tips in our eBook, you should see a definite improvement within several days. A small percentage of our customers do not respond to our product, for this case we offer 60 days full money back guarantee. Our promise is simple: If you don't see an improvement, we do not want your money! Product safety is extremely important for us. 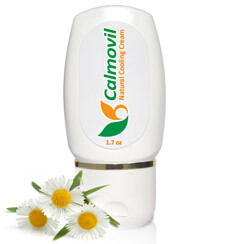 Calmovil™ products contain only natural extracts from plants and herbs that are considered safe. Our customers have been using Calmovil products for many years, and so far no adverse events (side effects) have been reported. As with other dietary supplements we recommend that you don't use Calmovil products while nursing or pregnant because the effects on fetus have not been evaluated. 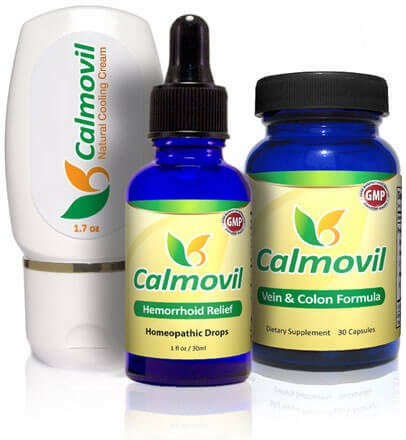 You should not take Calmovil Vein & Colon formula while on blood thinning medication or when suffering from a bleeding disorder. 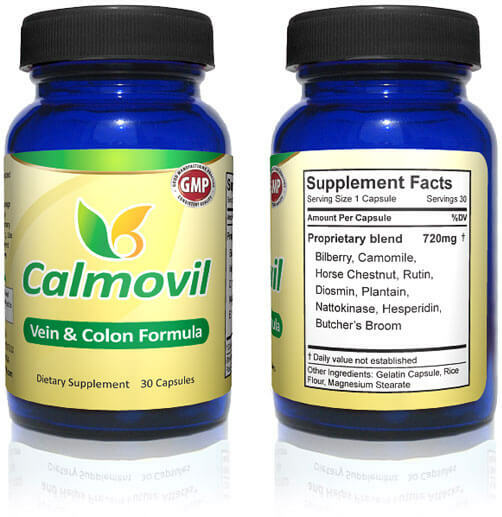 Calmovil Vein & Colon Formula is an dietary supplement that contains only natural ingredients from herbs, plants, and trees. Most other supplements contain bioflavonoids only in very small amounts. You would need to take a large number of capsules to get the proper benefit. In only one capsule, Calmovil supplement delivers a high dose of 240 mg of pure Diosmin, hesperidin, and rutin bioflavonoid blend. 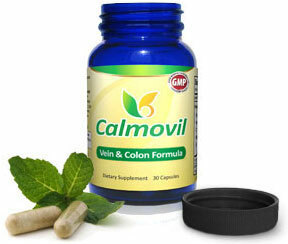 Calmovil supplement is the only product that promotes proper blood flow with Nattokinase enzyme.